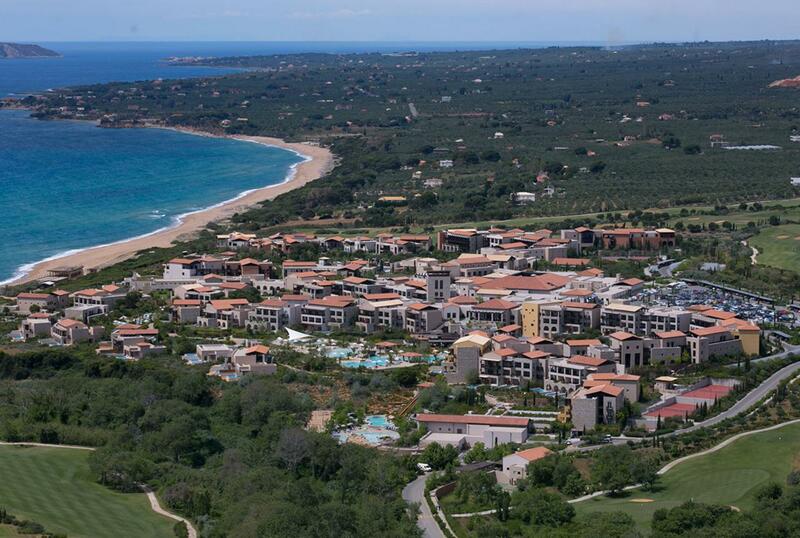 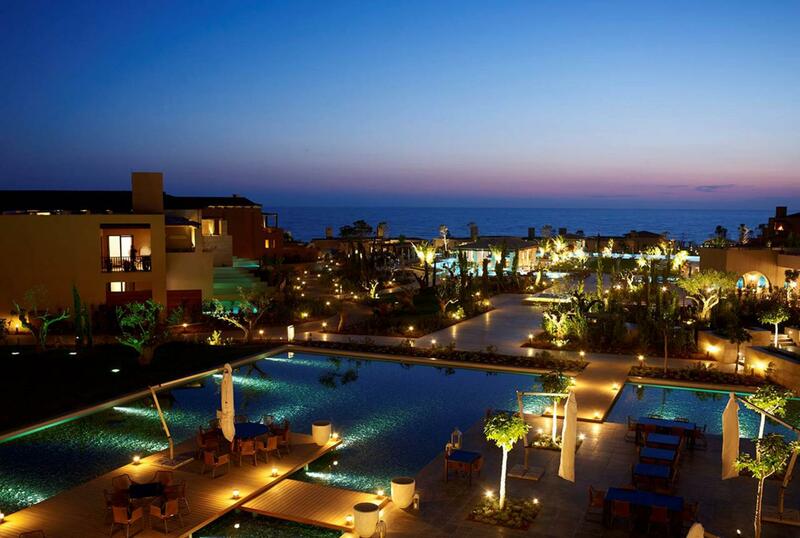 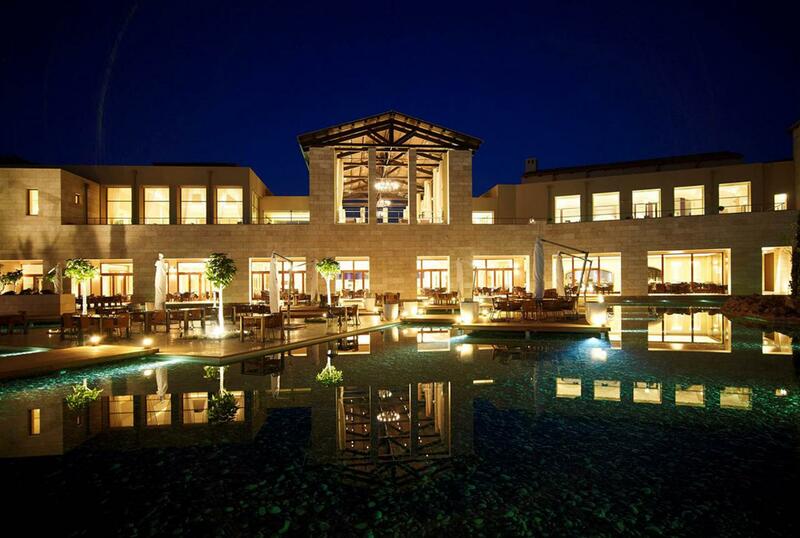 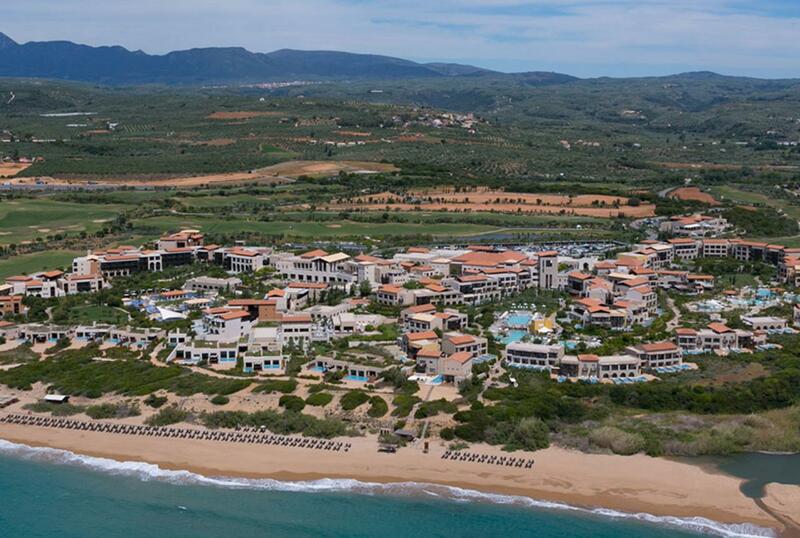 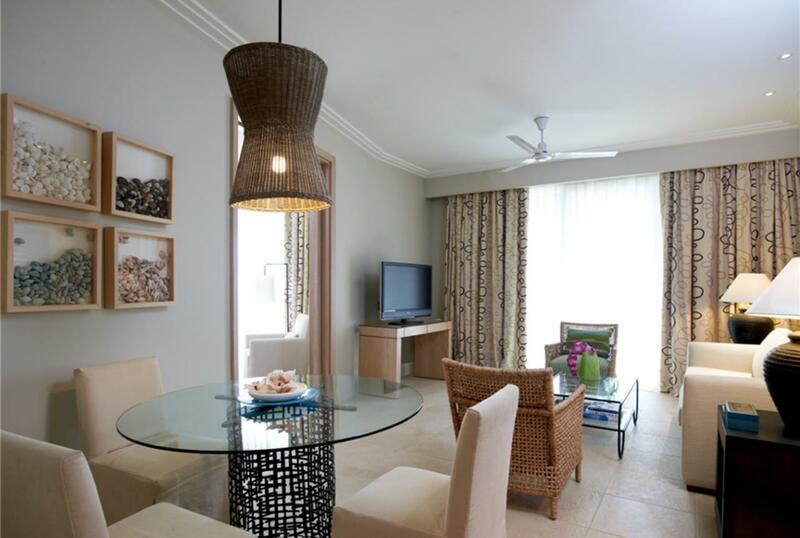 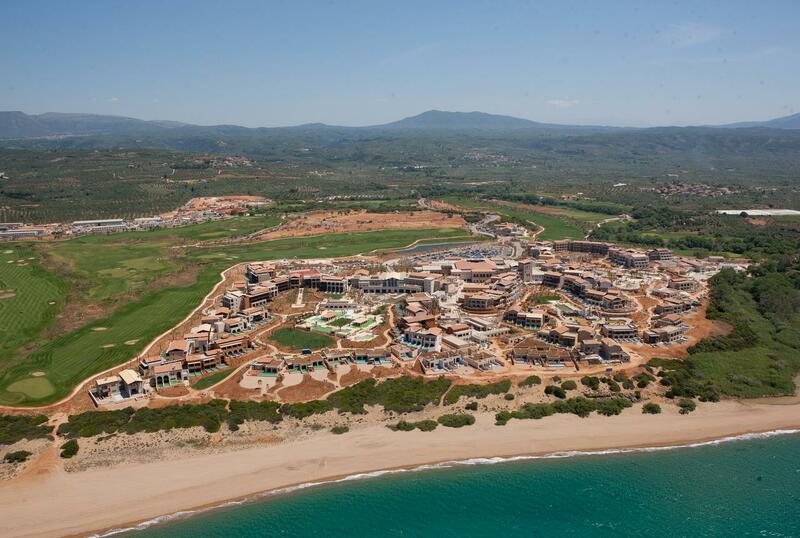 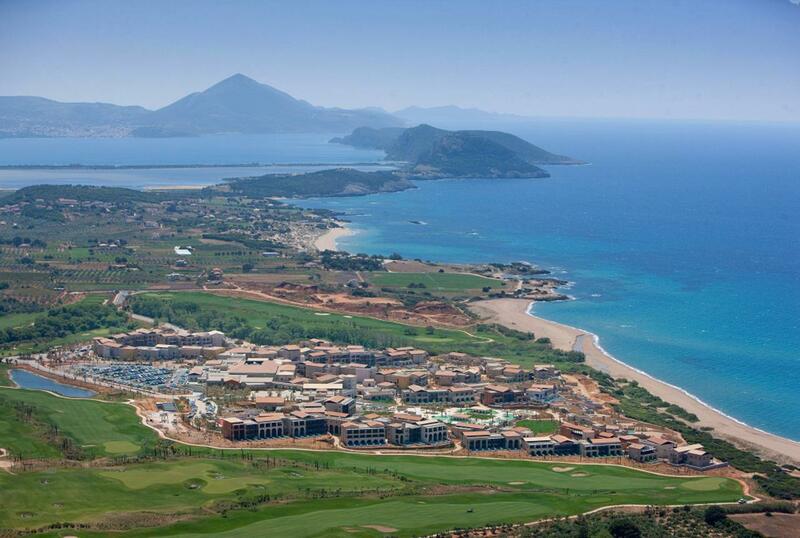 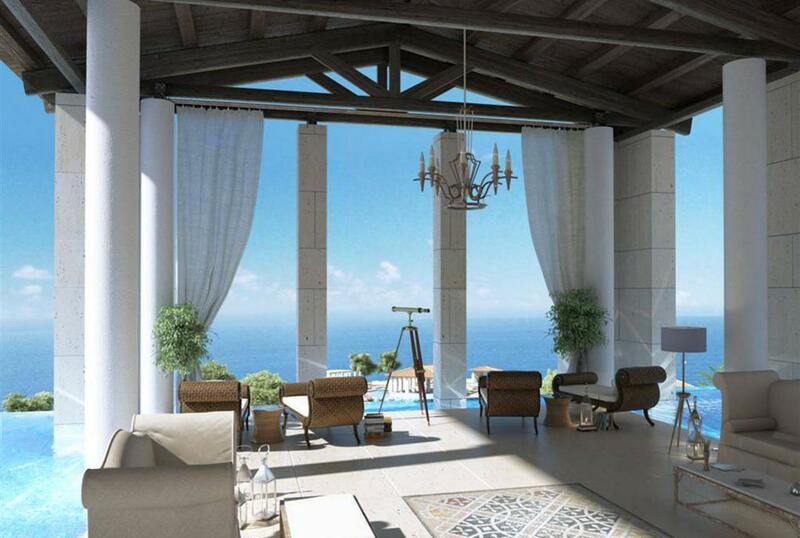 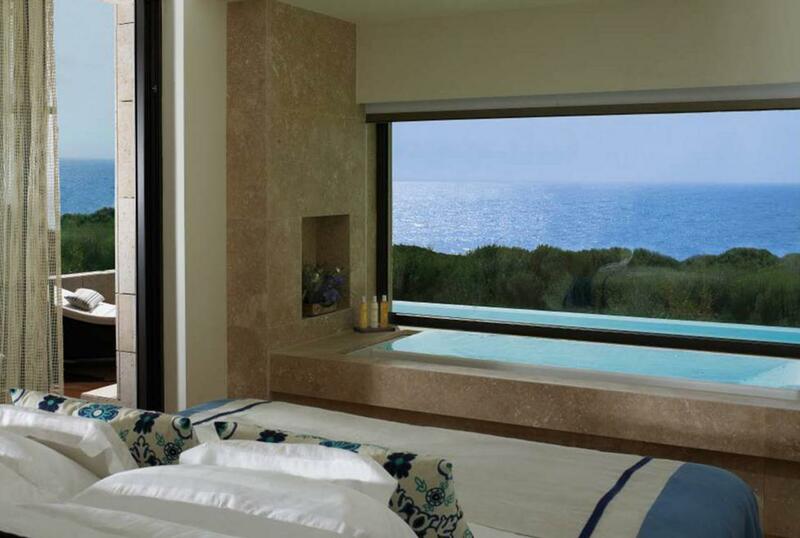 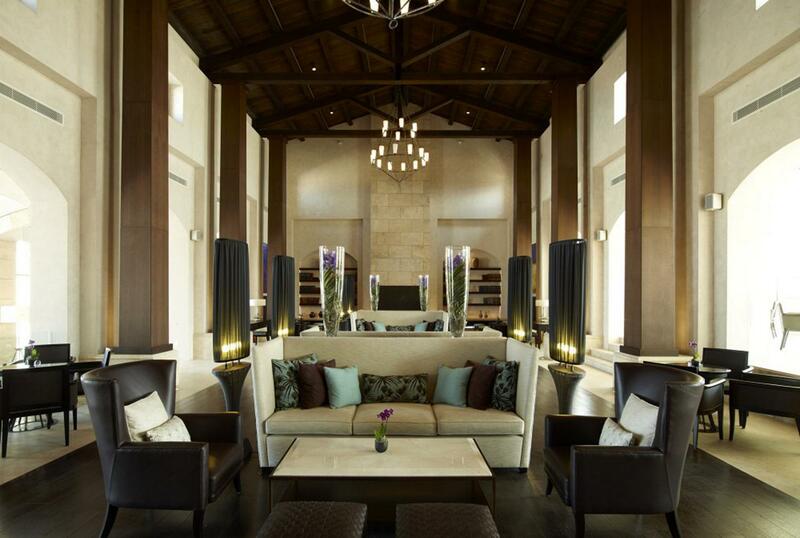 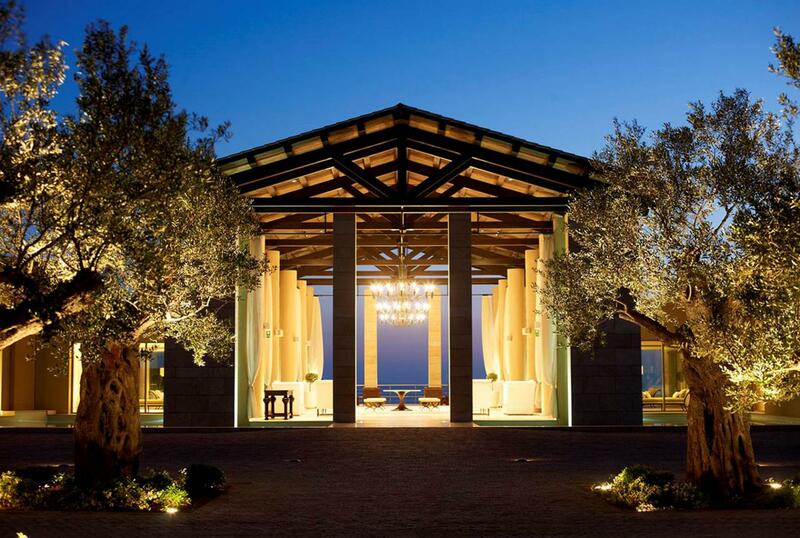 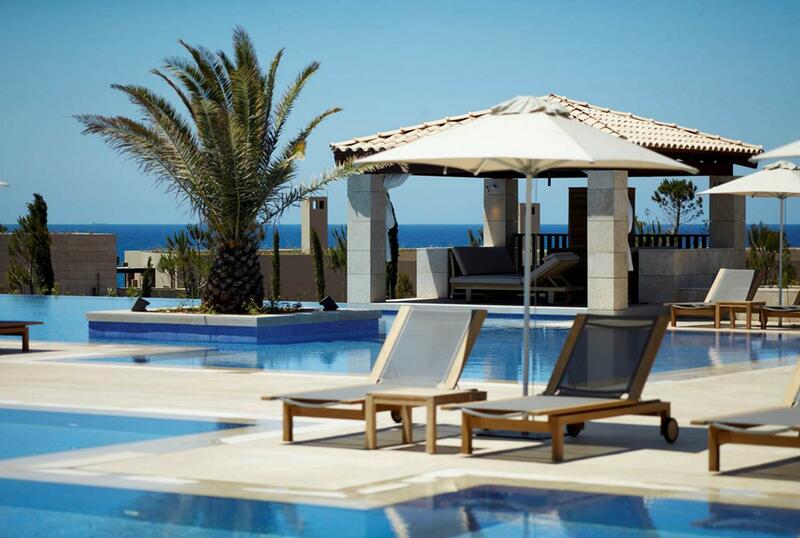 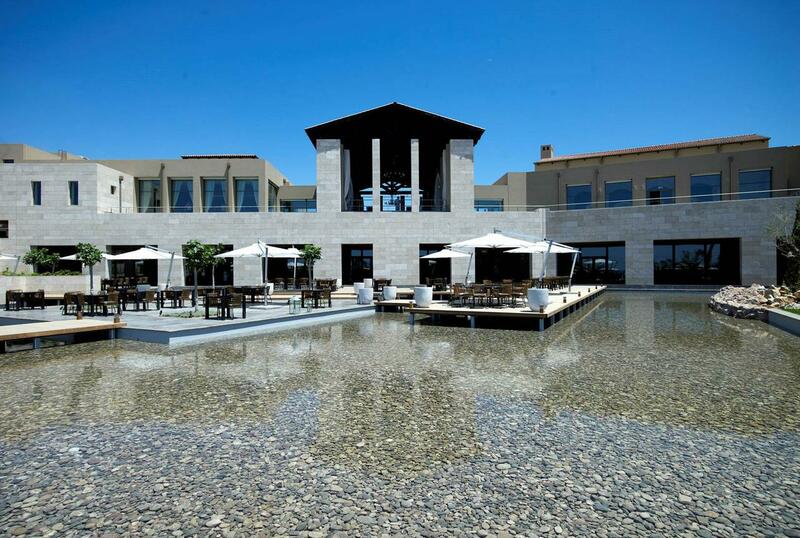 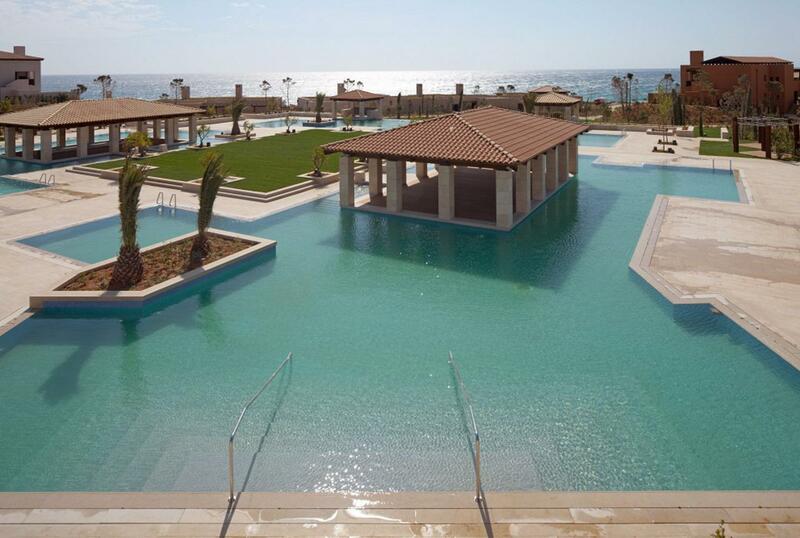 Two 5 star luxurious hotels, The Romanos Navarino Dunes Resort, The Luxury Collection and Westin Navarino Dunes Resort were built within a 1,300,000m2 of seaside landscape, featuring: 603 Rooms, 157 Suites, 2 Presidential Suites of 650m2 each, a Conference Center with a capacity for 2,000 guests, a SPA and Health Club, mixed-use athletic facilities, AQUA PARK, 7 main, 2 children's and 300 private pools, as well as a 14,000m2 of artificial ponds and lakes area, a shopping arcade, as well as an outdoor movie theater and two day nurseries. 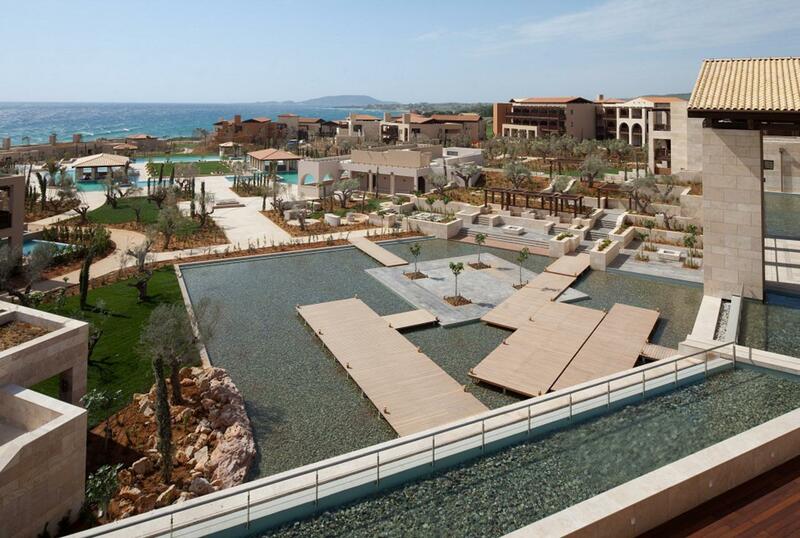 Moreover, a 200,000m2 of surrounding landscape was transformed into hard surfaces and planted with 4,000 trees and 300,000 shrubs. 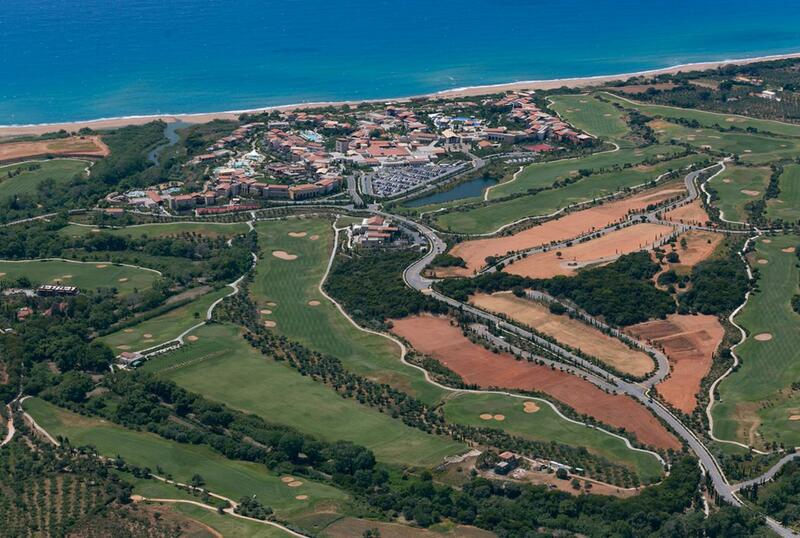 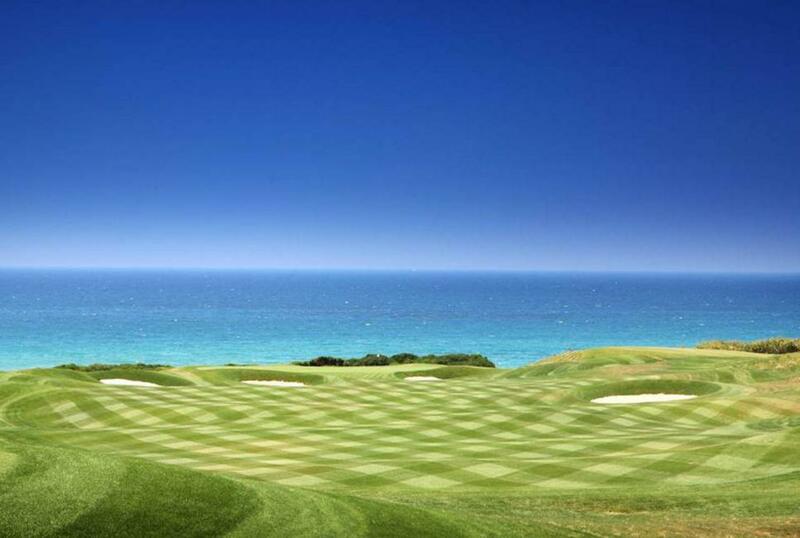 In the scope of the environmental plan, the largest geothermal network in Europe (125,000 m horizontal geothermal heat exchanger) has been constructed, as well as Biological Treatment using MBR technology with a clean water production capacity of 1,500m3 per day which can be used for irrigation of the golf courses. 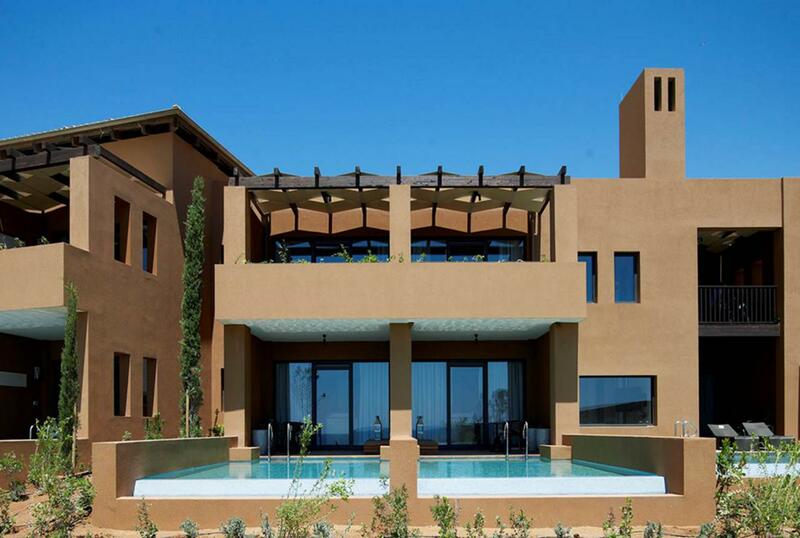 Aktor implemeted the supply, installation, testing and commissioning of electromechanical works of the project. 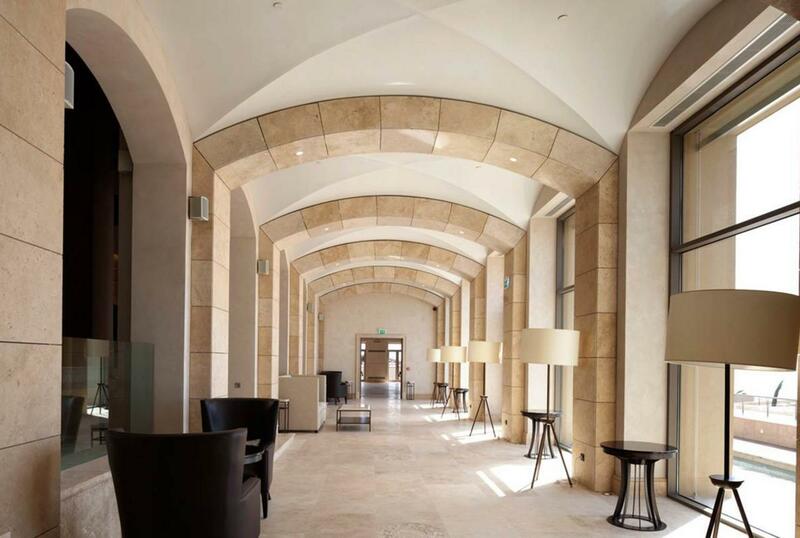 Refurbishment of the Former Building of Ministry of Education and Religious Affairs and Conversion to a 5 Star Hotel "Electra Metropolis Athens"